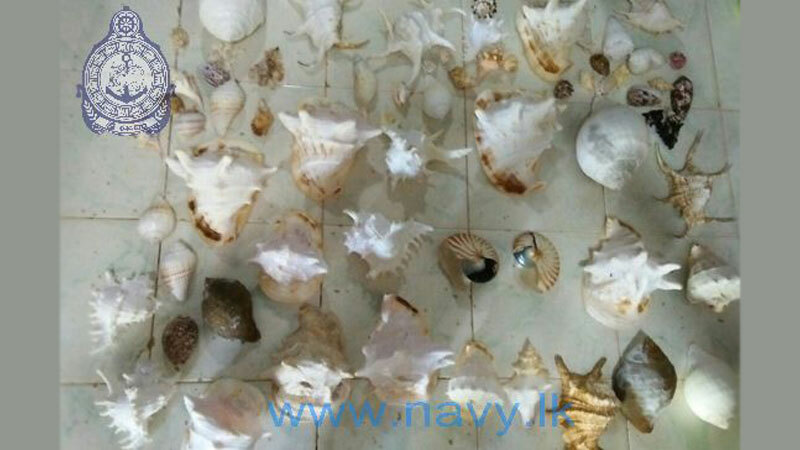 On information given by SL Navy, officers attached to the Kalmatiya Wildlife office, arrested a person with a haul of 184 conch shells of various kinds, at Kahandamodara area in Hambantota, tomorrow. The suspect is a 49 years old resident of Kahandamodara area in Hambantota. Wildlife Officers conducts further investigation about the suspect and haul of conch shells.